The most frequently used appliance in my kitchen is not the stove or the microwave. It’s the coffee maker. I can’t imagine a morning without a cup of joe. (I can, but the thought is so horrible I try not to dwell on it for too long.) Coffee, it seems, is the only substance that grants me the ability to function at full capacity. However, like all things that are delicious and that I imbibe regularly, I’ve started to have doubts and fears about the health effects of my coffee consumption. It seems like my entire Instagram feed is filled with snaps of matcha lattes and people waxing poetic about how they feel so much better after quitting coffee. Is there now something wrong with my morning habit? Thankfully, registered dietician Tracy Lockwood Beckerman, MS, RD, is here to spill the tea—or rather, java—on the benefits of coffee for the latest episode of You Versus Food. And for all those taken by the allure of coffee, I promise you that she has some pretty great news. What are the benefits of coffee? 1. It gives your brain a jolt of energy. Yes, due in part to the large dose of caffeine, but it’s a little more complicated. “The caffeine in coffee increases the stimulant norepinephrine and the laser-focus chemical dopamine in your brain,” she says, helping you feel more alert and ready to tackle your to-do list. 2. It’s rich in essential nutrients. The short list: vitamin B5 (for making red blood cells), manganese (for bone development and metabolism), potassium (for lower blood pressure), magnesium (for energy production and sleep), and niacin, which Beckerman says helps convert said vitamins into useable energy. 4. It’s a great pre-workout beverage. Beckerman says coffee can help boost physical performance. “It stimulates your nervous system and signals fat cells to break down body fat,” she says. It also increases epinephrine, also known as adrenaline, which may help you run (or cycle) faster. Are there any risks or downsides to this glorious drink? Unfortunately, yes. And most are related to the amount of caffeine each cup contains. “Caffeine can cause anxiety and disrupt sleep, as it can lead to overstimulation, restlessness, and jitteriness,” says Beckerman. Caffeine stimulates your nervous system, and in excess, can potentially trigger your fight-or-flight response, making anxiety worse. This isn’t the case for everyone; some people can drink coffee all day and have no issues whatsoever. But for people who have existing issues with anxiety, coffee can exacerbate the problem. Caffeine also stimulates your heart rate and breathing, which Beckerman says can make people feel jumpy. Drinking too much coffee or caffeine of any kind (more than four cups per day) can cause unpleasant and potentially dangerous side effects, like elevated blood pressure, headaches, muscle tremors, and insomnia. It’s also an addictive substance. “When people drink [coffee] often, they can become tolerant to it,” Beckerman says. Then when you take away coffee, she says people might experience symptoms of withdrawal. Coffee affects everyone a bit differently (we all metabolize it at different speeds), making some people more sensitive to its potential ill effects than others. So don’t be super concerned by these potential downsides. Limit your intake to a reasonable amount and you should be good to go. I live under a rock and have never heard of coffee. What’s the best way to drink it? Since coffee in an IV drip is generally not advisable (sorry, Lorelai Gilmore), Beckerman suggests drinking it black or with a splash of milk to cut back on unnecessary sugars or calories. 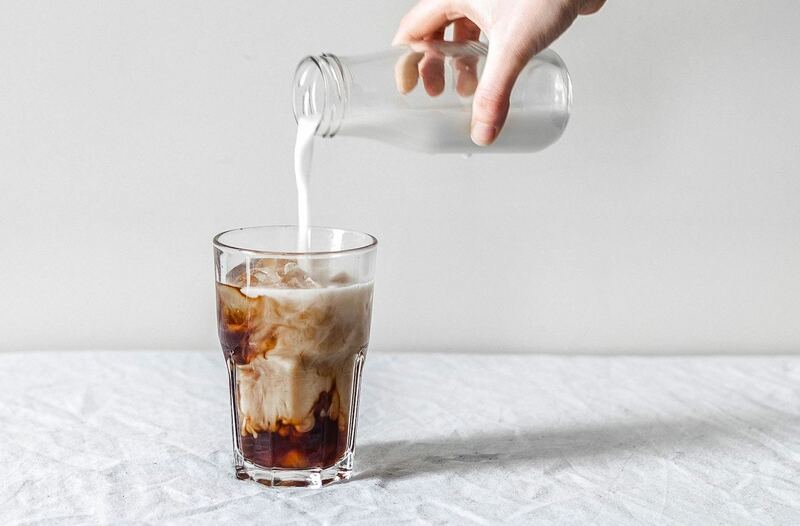 “Cappuccinos, lattes, and flat whites are also good options,” she says, because that gives you some extra vitamin D and calcium thanks to the milk content. And while a morning coffee (or two) is fine, Beckerman recommends cutting yourself off after 2 p.m. to avoid sleep-related issues. Coffee drinkers, rejoice! You can keep sipping in peace. If anyone needs me, I’ll be cracking open a cold brew to get through the afternoon. The various coffee brewing methods vary a lot when it comes to caffeine content. (The more you know!) And one writer explores the theory that you can get the benefits of coffee just by looking at a picture of it.